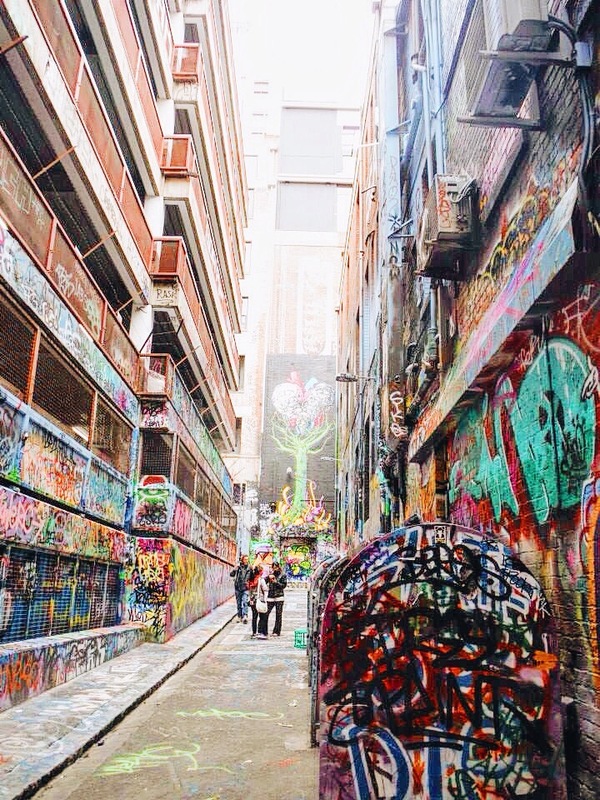 Before I even moved to Melbourne I had heard all about the famous laneways in the city. 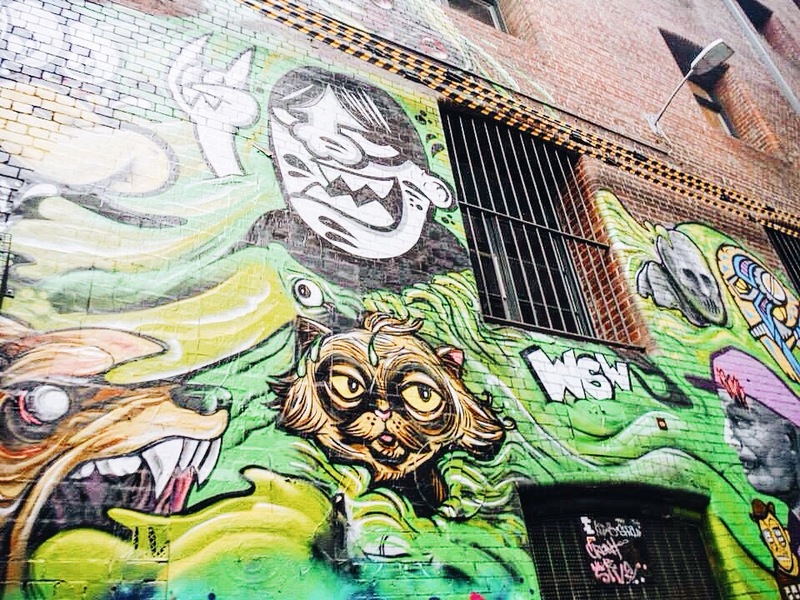 I had never been anywhere that had a ‘laneway scene’ and I could not wait to check them out. I remember one of my first times coming off the train at Flinders, just wandering about, having no idea where to go. I spotted a lane and just headed down it. This of course got me lost in what seemed to me to be a maze of lanes (and really kinda is). 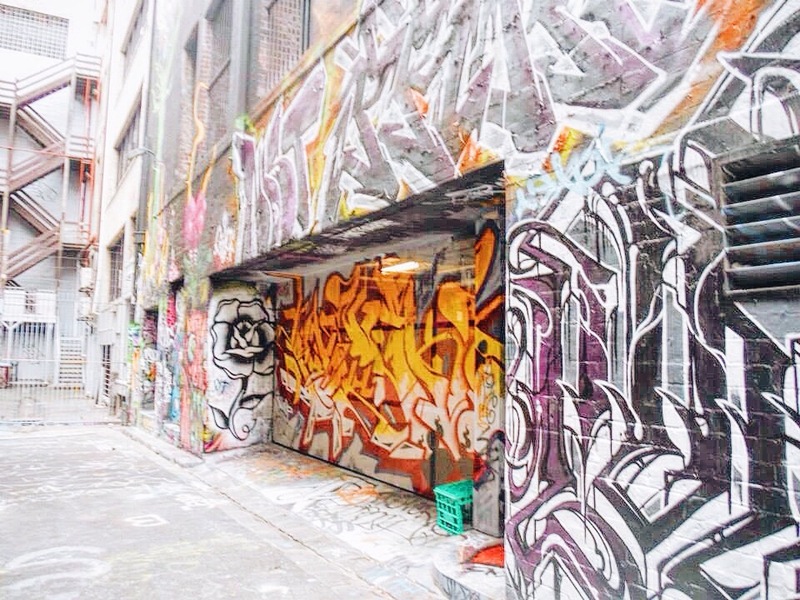 A person could spend months down the laneways and still not see every shop there is to see. After I finally found the street, I remember turning my head after seeing a blur of color from the corner of my eye. What I had found shocked me. 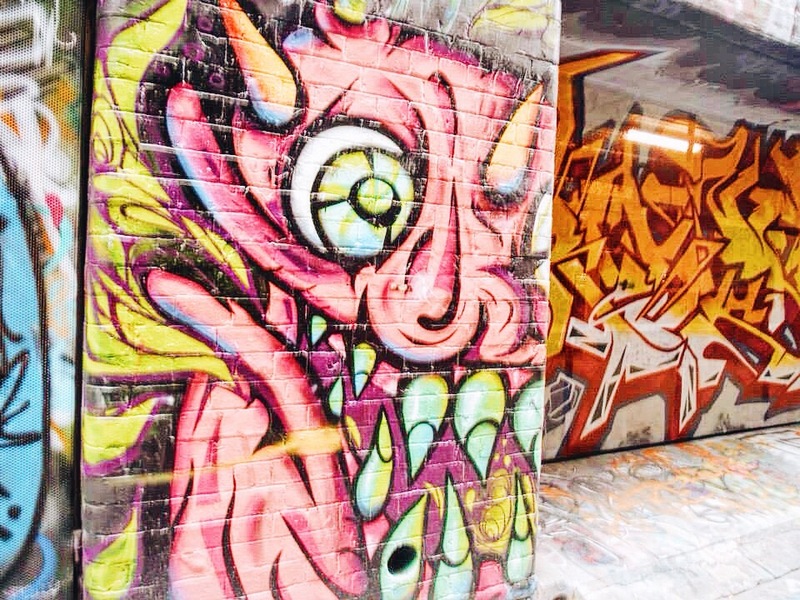 A whole laneway and a half dedicated to graffiti! 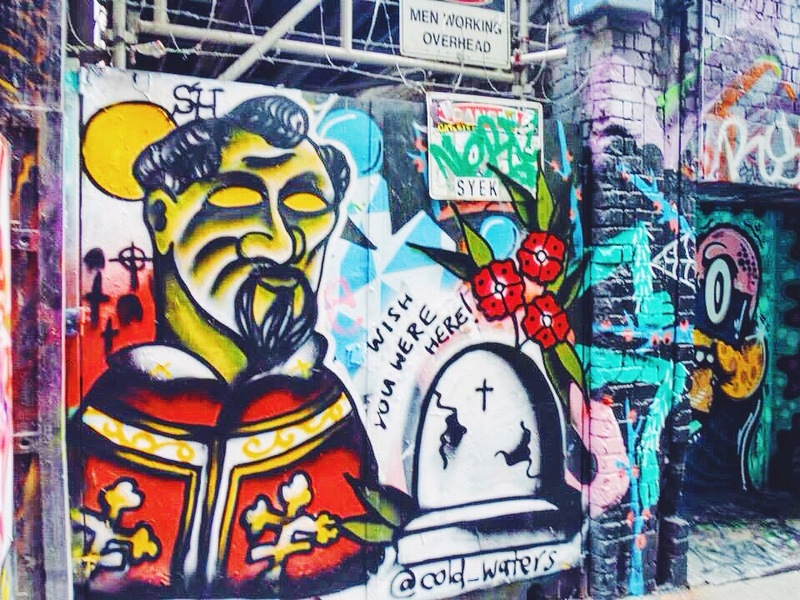 I asked around and as it turns out these laneways are very popular, and known as Hosier Lane. 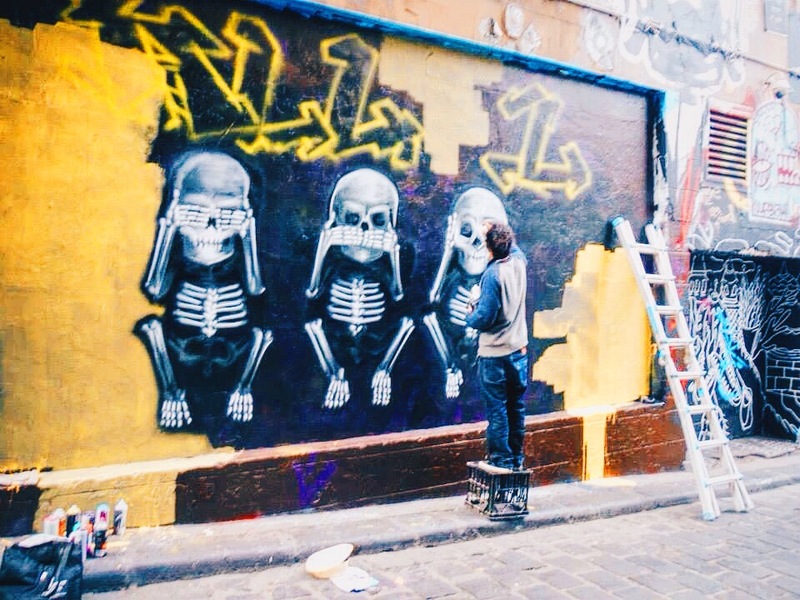 People are always down those laneways creating their art, something I could only dream about doing. The higher up the graffiti, the less likely someone will paint over it. Since the graffiti is constantly being painted over to create something new (it’s an unwritten rule) if you want your art to remain for a while, get a ladder and paint high up! Every time I went down this lane in the 5 months I lived there, there was something new. Never once were the lanes the same. I even went on a walking ghost tour, and this lane was a feature. Apparently about a hundred years ago, this lane was very dangerous, since there weren’t any lampposts, so women often were raped there, and several murders took place there. They say if you walk up to one of the walls, ask permission to take a photo, and take several photos at once, you can sometimes see glimpses of weird lights and sights in the photos…my kind of ghost tour! Except unfortunately I didn’t think to bring my camera since it was so dark, so no ghost photos for me. Now, during the day its quite a safe area, with many wedding photos being done there, and it always has a few people there. Even during the ghost tour there were a few stragglers wandering about. 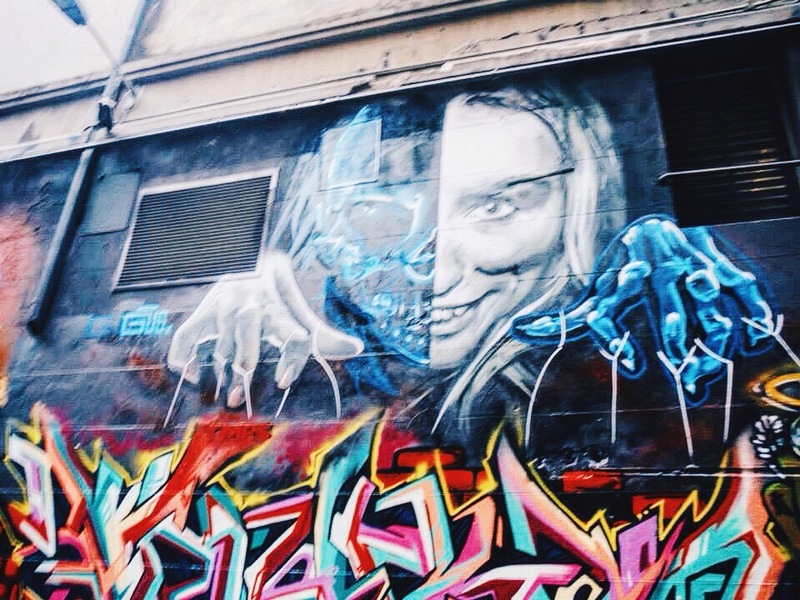 Melbourne is such a unique place so I suppose having a lane like this is no surprise, but I loved it anyways. 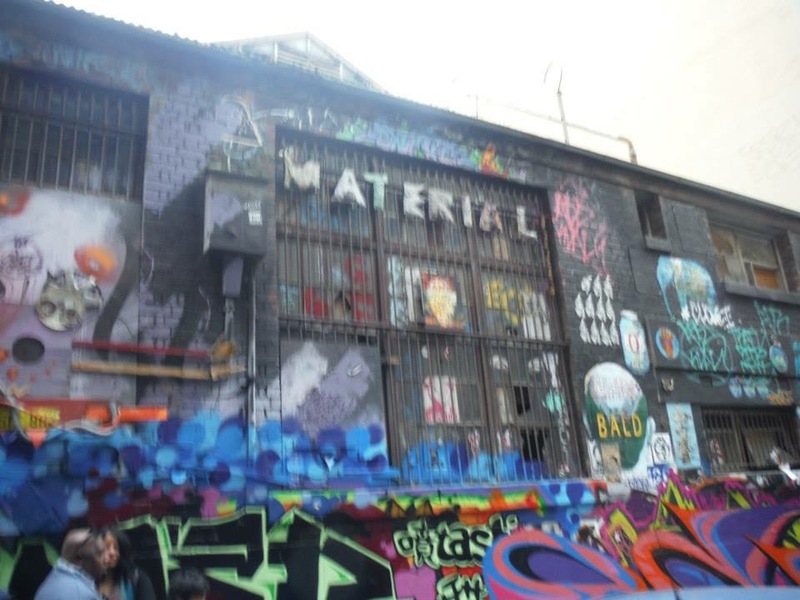 I can’t wait to head back to Melbourne eventually and see how different the place will look! 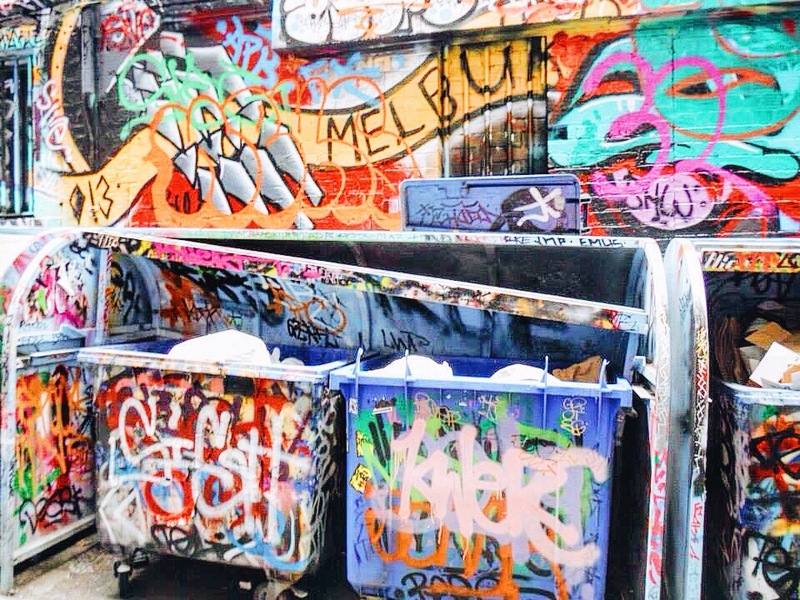 This article is available for download on GPSmycity, along with other Melbourne Guides. Check them out here! Agreed. I only wish I could be half as talented as those.